Our next community meeting will be held on Tuesday, February 12, from 5 to 7 pm, at the Boyle Heights Technology Youth Center. Boyle Heights residents and other community stakeholders –from business owners to elected officials– are invited to share their thoughts about the most pressing issues affecting the neighborhoods. 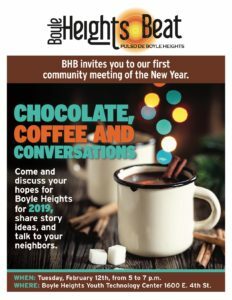 Participants will also be asked to express some of their wishes and aspirations for 2019, and to answer the question of what makes Boyle Heights a special place to live. 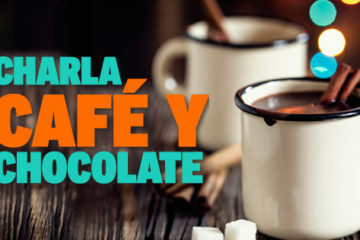 Attendees will be treated to their choice of coffee or hot chocolate and pan dulce. The meeting is open to all and RSVP is encouraged. If you come to our community meeting, Feb. 12 @ the Boyle Heights Technology Youth Center, you will have a chance to join a discussion group. Which of these #BoyleHeights subjects are you most likely to get excited about?